I love the sandals but I can't find them online! I don't own any co-ords but I really like that one. This is so cute and suits you to a T. I can imagine the looks! You look lovely in it, you sound such a cute little British girl, i love it! That looks really gorgeous on! The shorts suit your shape brilliantly too. I might have to buy this! You look lovely! Would love it if you could check out my blog giveaway! love the entire outfit darling!
! please checkout my giveaway on my blog, it's international ! I'm such a big fan of the pj suit!! You pull it off so effortlessly that it looks completely normal to me, pretty sure I wouldn't have the same effect! You pull it of really well! And your hair is amazing! This outfit is gorgeous. You look lovely! Aw, you look so cute, I love this "little suit" (aka pj co-ord). Honestly, I don't see why people gave you confused looks because this outfit is perfect (in my book, at least)! love this, pyjama suit type things always entice me. Such a cute outfit! The mint sandals are so gorgeous! Thanks for visiting my blog maybe follow each other?? I love this. I bought some pyjama trousers from Topshop on uniform a while ago (they're now in sale, boo) but I lovvvve them. My boyfriend however doesn't quite understand them yet. This is so adorable! I am loving co-ords at the moment. I loooove the collar on your shirt, subtle but pretty none the less! You have an amazing sense of style and i cant wait to see future posts! sooo cute. i love this, it reads elegance all over it :) great blog. would you like to follow each other? That suit is just sooo adorable. 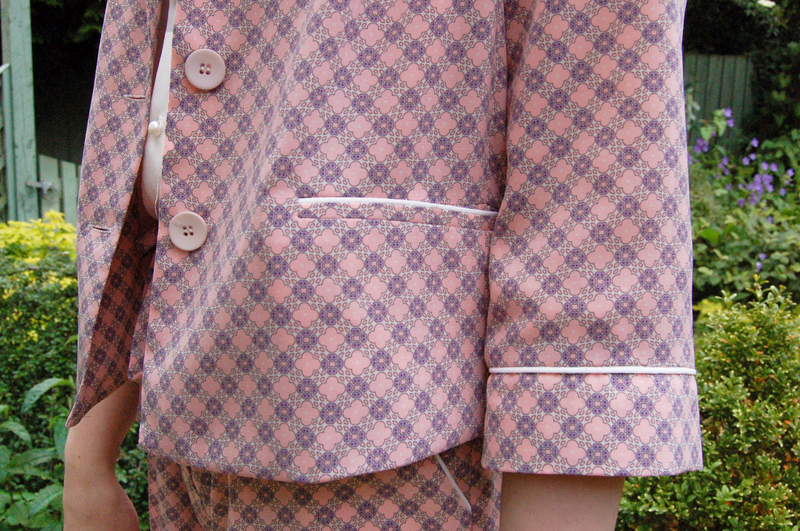 My brain is telling me to buy the Pajama suit, my pocket says no. You look so so cute in this! 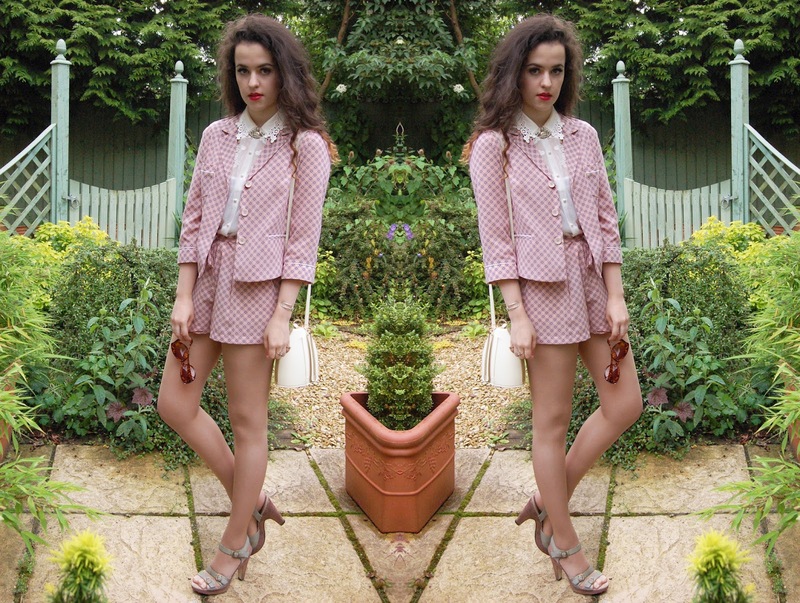 Love the outfit, love your blog! Def. following! Don't worry - I had to google YOLO as well and I'm 19. You look smashing! I love the colors you've paired together. Perfectly charming! You look so chic, I love the pants of the power suit :). 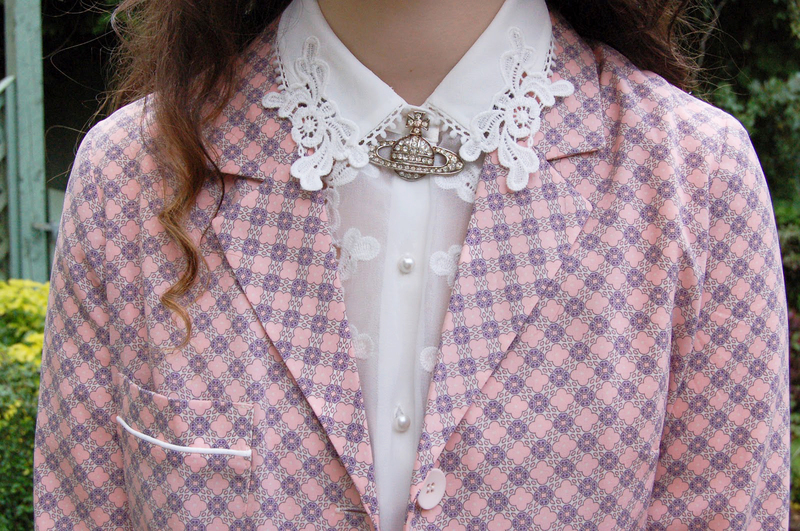 this outfit is so cute, i love the collar it is so detailed! thanks for your lovelycomment on my blog hope you will come again soon! Such a lovely outfit, you're gorgeous! I lvoe your blog as well, so glad I stumbled across it. LOVE your blouse so much! Lovely look,I like the theme of your blog. i love this i think its gorgeous! i really want to get my hand on a suit! I have some floral trousers so im looking for a smart green or black blazer. You look great by the way! i had a look on topshop for this but there arent anymore shorts! only trousers :( will just have to keep looking! I need to get this!! So cute. So glad i've found your blog! I have this same outfit but with the trousers! snap. Just found your blog and I love it hun.